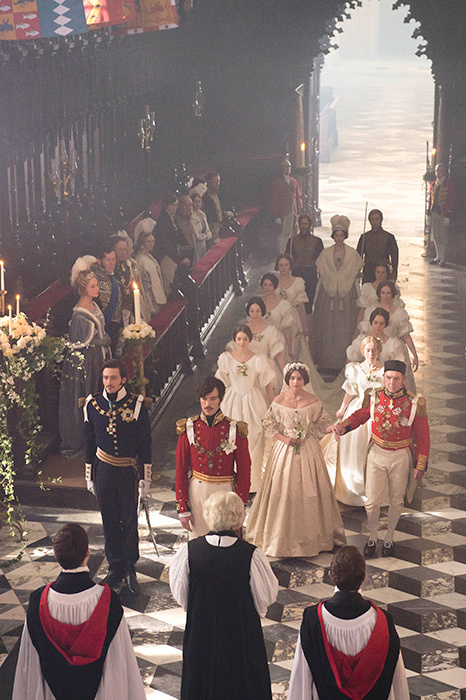 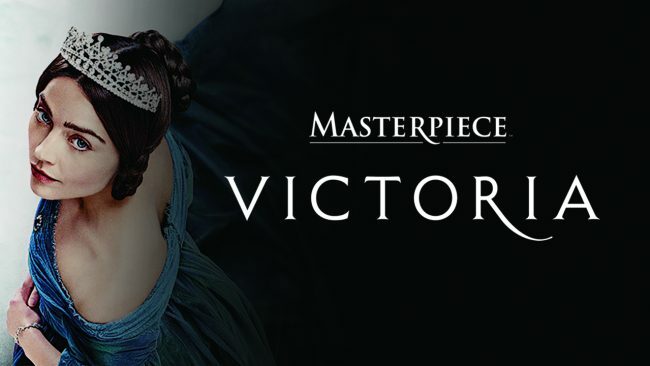 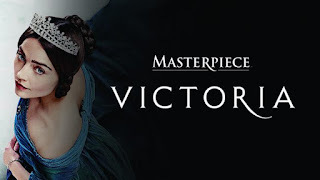 Did you enjoy watching the period drama "Victoria" on PBS? 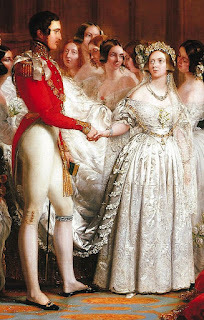 Of course the story of the young queen included her 1840 wedding to Prince Albert which continues to influence brides and wedding celebrations today! 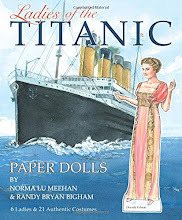 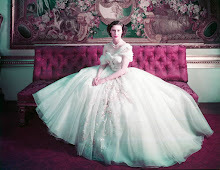 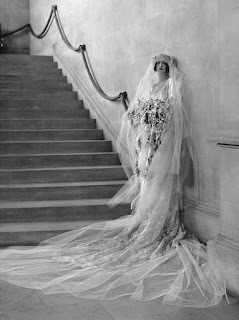 If you've read my book, The End of the Fairy-Tale Bride: For Better or Worse, How Princess Diana Rescued the Great White Wedding, then you've read rich background stories and understand the intrigues of "the great white wedding"....! 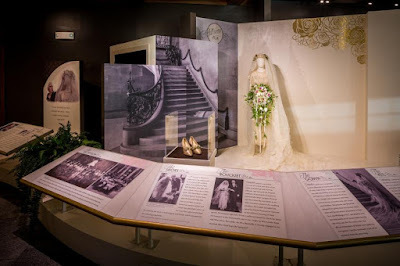 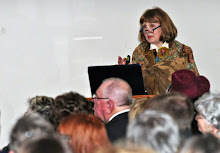 In my latest speaking engagement presentation, "Victoria & Elizabeth: Recreating Crowns & Gowns" (inspired by PBS' "Victoria" as well as the fabulous series on Netflix, "The Crown," featuring the life of Queen Elizabeth), I share design details about the real gowns plus behind-the-scenes stories of how the costume designers recreated those royal wedding and coronation gowns. 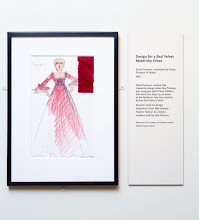 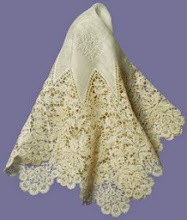 "Victoria & Elizabeth: Recreating Crowns & Gowns"
“Victoria’s” costume designer Rosalind Ebbutt, shared about reproducing the historic gown: "We were able to source a lot of things, silk that was very similar to the one Victoria wore, lace made by English lacemakers in Honiton. 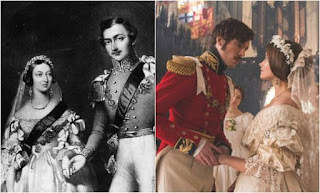 [The real] Victoria was very keen that everything would be from her country and made by an English dressmaker….,” the costume designer shared. 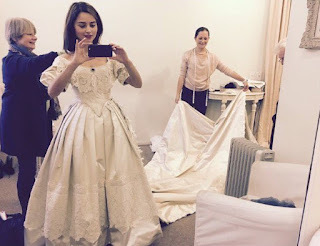 "The wedding dress was the one thing we knew how it would look so [recreating] it was a longer, drawn out process. 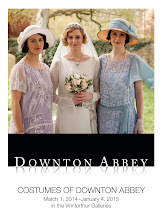 Sometimes [for various costumes] we had to get things done in a week or so, but [for the wedding costumes], we had several weeks which was great," Rosalind explained. 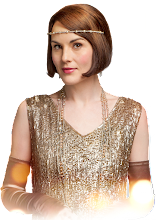 In an interview with Hello! 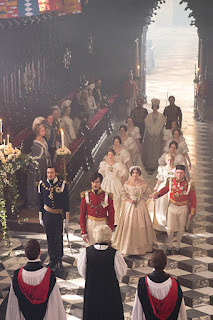 Magazine, she shared that “working with actress Jenna Coleman was a delight – and the highlight of series one was spending weeks creating and perfecting the all-important wedding dress…. 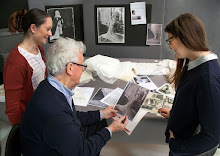 “funnily enough” she added about filming the wedding scenes, “it was a moving day for us….."
Costume designer Rosalind Ebbutt and actress Jenna Coleman at fitting for "Victoria"
The article offers background on how a design team at Cosprop, Ltd. London recreated Biltmore heiress Cornelia Vanderbilt's 1924 couture wedding gown and accessories—the centerpiece of the museum's exhibit on Biltmore Estate.